Okay, so I made this Strawberry Ice Cream along with other goodies for a surprise baby shower for my dearest friend who is expecting a baby girl. We had decorated our whole house in pink (a few pictures for you guys to see and that’s my munchkin who’s just started to crawl). I’m so glad that that the mom-to-be and our other friends loved this homemade strawberry ice cream. 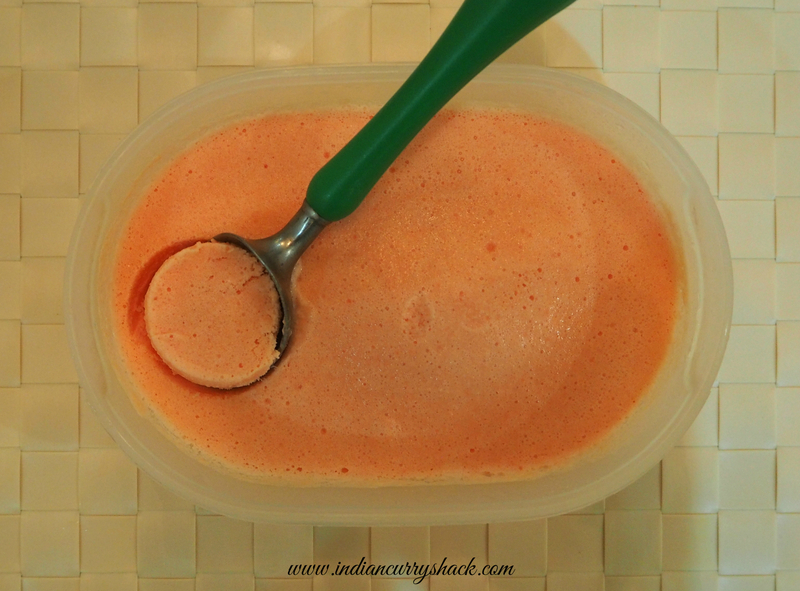 In a plastic/tupperware container, pour the entire mix and freeze for 2 hours. Then blend the entire ice cream again. Pour the ice cream back in the container and freeze. After 2 hours again blend the entire ice cream and pour it back in the container, add the remaining strawberry chunks and freeze for 7-8 hours or overnight. Relish this lip smacking Strawberry Ice Cream with sliced strawberry on the side. Sharing with Fiesta Friday #167 hosted by Angie! I couldn’t be more ready for ice cream…now, to decide which kind to make first. Perhaps strawberry is a good place to start.